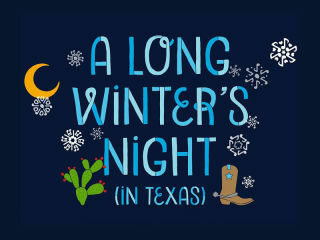 Laura Freeman’s original musical, A Long Winter's Night (In Texas), is a distinctively Texas tale with echoes of Dickens. Suzi longs for snow in Texas until the night of the Winter Solstice when she gets more than she bargained for. Featuring live music and outrageous performances by Laura Freeman, Robert Deike, Megan Ortiz, and Robert King.